They will be sold according to the principle of public-private partnership. The Justice Ministry has invited an investment competition for the sale of the Lukyanivskyy and Lviv detention centers, First Deputy Justice Minister Natalya Sevostyanova told a briefing on 2 February. According to her, the ministry has for about six months been working out a procedure for the sale of the old jails in Kyiv and Lviv and concluded that it should be based on the principle of public-private partnership. "The competition starts now," said Sevostyanova. On 2 February, the ministry began accepting project proposals for the construction of new detention centers. It is planned that a new Lviv prison will be built on the basis of Lychakiv correctional facility No 30 while Kyiv will send its inmates to a new prison likely to be built either in Irpin or Bucha in the suburbs. The Justice Ministry in 2015 announced plans to close 19 penal institutions, including the Lukyanivskyy jail. It was planned to be moved outside the city limits. In December 2016, the ministry said it was ready to leave it to the private sector both the Lukyanivkskyy jail and the old Lviv prison. Potential owners would have to build new detention centers. 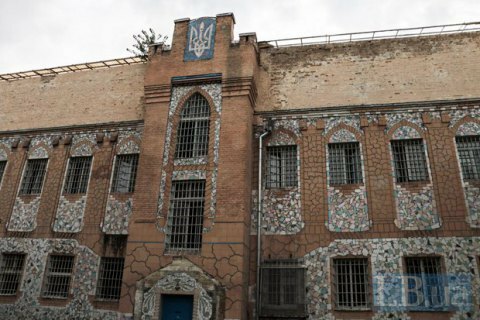 The Lviv detention facility located in the city's centre is the oldest prison in Ukraine. The building was built in 1614 as the St. Brigid convent. In 1786, the monastery was converted into a prison, which was popularly known as Bryhidki. During the Polish rule, the building was used for political prisoners. Since 1946, the institution has been used as a detention centre. The Lukyanivska prison was built in the mid-19th century. The building is listed as a historical monument. President: investors' interest in Ukraine's assets "unprecedented"